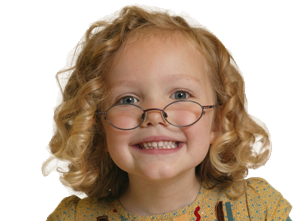 We have a wide range of spectacles suitable for all ages from very small children, to up to date designs for the fashion conscious older child. We are an accredited provider of the screening programme in South Manchester. Call to arrange an appointment when you receive your next screening letter! Contact Lenses Are For YOU! It is now easier and more comfortable to wear contact lenses than ever before – give them a try – call and arrange a trial! And look out for our revolutionary Eyedream Ovenight Vision Correction! 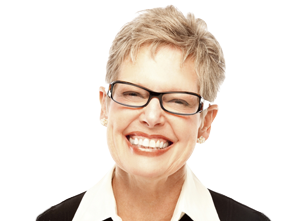 Pop in and browse our wide collection of designer and non-designer frames. Our collection includes D & G, Givency, Rayban & Prada! We’d be happy to help! Working in all weathers, attending accidents and delivering babies in confined spaces can be quite demanding especially when trying to keep my glasses on the end of my nose! I tried various soft contact lenses, but with poor tear exchange they dried out and became uncomfortable. I didn’t want laser surgery, so my optician suggested that I tried EyeDream. I haven’t stopped smiling since I did and it has also made such a huge difference to my personal life too! On an international level I compete for England, but this tough demanding contact sport does not allow glasses. For me, soft contact lenses dry out or become dislodged and I am too young for laser surgery. My optician suggested EyeDream Overnight Vision Correction which really has been the answer to my prayers. I have perfect vision all day and now I won’t have to consider laser surgery. My optician also mentioned the potential of slowing my myopia: I just can’t believe that such a simple procedure that has so many benefits is not used by more people! I had an accident a few years ago which left me in a wheelchair. 9 years ago I started playing wheelchair tennis, and then 6 years ago started taking it more seriously, representing my country. I wore spectacles to correct my short sight for many years but I started EyeDream 5 years ago so that I could be free from spectacles when playing sport, and it meant that I could wear non prescription sports sunspecs easily. I have never regretted the decision to try EyeDream as the fitting process was straight forward, and now all I have to do is attend routine 6 monthly aftercare checks. I would recommend it to anyone who wants to be out of specs and lenses during the day. EyeDream has made my daughter’s life a lot easier. She is more confident at doing more sports, especially swimming. Swimming wasn’t allowed with goggles before with her daily disposable contacts but now she doesnt have to worry. If she has a last minute sleep over and forgets here contacts, her sight is still good enough to get her through until she gets home. 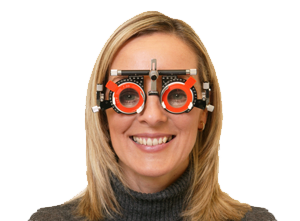 Adrian has kept an eye on how her eyesight changes and adjusted her contacts accordingly with regular eye tests and discussions on how she’s doing and addressing any problems or questions she might have. It’s made me a happy mum to see her happy. EyeDream has changed my life because I feel confident in myself and the things I do. I can open my eyes underwater and not be worried about contacts falling out. I can rub my eyes or fall asleep on the couch or in the car without worrying about them going out of place. If I slept at my friend’s house and forget to put them in, I can still see the next day without any worry. 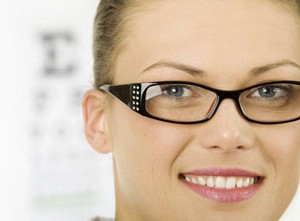 I always know how my eyesight is because I still have regular eye tests. Adrian has been really supportive. He has helped me from the beginning from putting contacts in and out, taking care of them and always being there when I have my checks. EyeDream has made me a more confident and outgoing person. I started using Ortho-K lenses when I was 14, after first trying glasses and then daily lenses. When I first got the Ortho-K lenses, I found them uncomfortable to wear, however after a week of wearing the lenses I found them a lot easier to put in and my vision during the day gradually got better and after the week, my vision was perfect. I hope I never have to go back to glasses or daily lenses because I find the Ortho-K lenses much more convenient as my eyes no longer become irritated by smoke, deoderant or make-up. Occasionally, if I stay out late or I feel ill, I may leave the lenses out for the night and I can still see relatively well for the next day, which is a big advantage. An added advantage is that it has slowed down the deteriorisation of my eyesight; my prescription hasn’t changed for 2 years. I started Orthokeratology treatment when I was eleven and a half (3years ago). Before I began, I was generally wearing glasses and soft contact lenses for sport. I didn’t like this variation as I played sport quiet often. So EyeDream Ortho K was suggested to me, by my Dad, and I thought the idea sounded fantastic and I should try it. I put the rigid lenses in just before I went to bed. At first the lenses felt a bit odd and took a few days to get used to but after that I hardly realized they were inside my eye. During the night I couldn’t feel anything happening to my eye. The treatment was brilliant because I didn’t have to worry about remembering whether to wear glasses or soft lenses at school. It was bewildering that I didn’t have anything in my eyes and yet I could still see perfectly. It meant that I could now, for the first time ever, see clearly underwater. I also didn’t have to worry about my soft lenses drying up towards the end of the day or having to constantly adjust my glasses so they stayed up to my eye level. The only patience I needed was in the beginning because it took about three or four days for my vision to become 100% after putting the lenses in. Ortho K is truly amazing and I would thoroughly recommend it to anyone who is currently wearing glasses or contact lenses. I first came to Dixons due to the fact that I suffer with a relatively rare eye condition called kerataconus, for which I require a special type of contact lens to give me good vision. On arrival at Dixons, Mr Patel and his team make you feel incredibly welcome – and so on each visit, I have always been thoroughly impressed before I’ve even made it to a consultation room! And as for the actual treatment I have had at Dixons – well, it’s no exaggeration to say that the results I have had have been literally life-changing. Thanks Mr Patel’s expertise and determination not to settle for anything but the best for my eyes, the special contact lenses I am now using are giving me close to 20:20 vision, an incredible difference compared how blurry life had been for me beforehand!